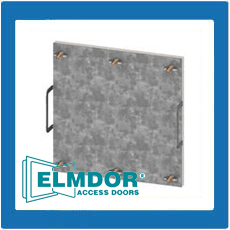 Fire rated duct access doors are designed for installation into grease ducts. They are made with galvanized steel and it is created to be grease tight and airtight. It meets requirements of all mechanical codes.